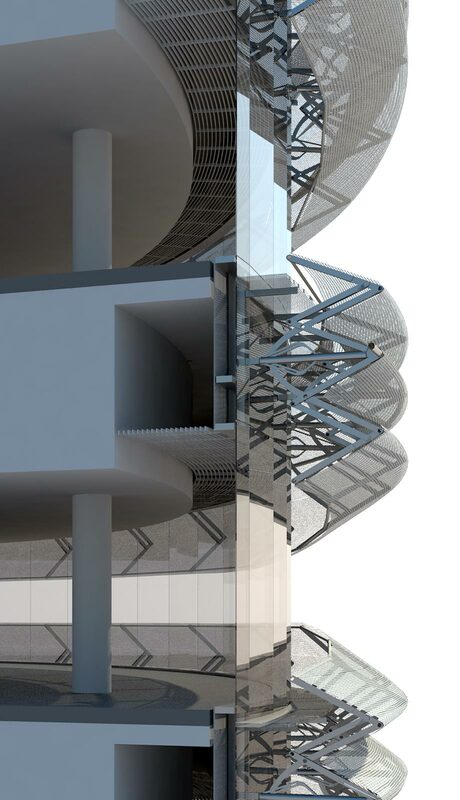 Developing the kinetic facade on the CJ R&D Center presented some unique technical challenges in terms of visualizing a range of motion for a mechanical assembly of parts. As architectural designers, we’re accustomed to working with static elements. CJ called for new methodologies that would enable us to easily manipulate hierarchical structures of linked components, allowing us to visualize how a modification to one part would effect the whole system. To do this, we used a combination of tools (inverse kinematics, wire parameters and animation constraints) originally intended for use in character animation within 3ds Max . In general, the animation tools in 3ds Max and Maya are well suited for this type of simulation. Creating motion in a CG robot or insect, for instance, requires the animator to establish a series of complex relationships between geometry. These tools also provides a feature-rich environment for designers to build mechanical relationships between building components. Rotational joint constraints, springs and sliding connections are among a host of tools that enable users to create extremely complex assemblies. In the video below, we start form scratch and build the the scissor mechanism on CJ using inverse kinematics, wire parameters and various animation constraints. As buildings become more like organisms in their ability to transform or adapt to their changing environment, working with tools that allow us to visualize 4d concepts will become more relevant to the architectural practice. 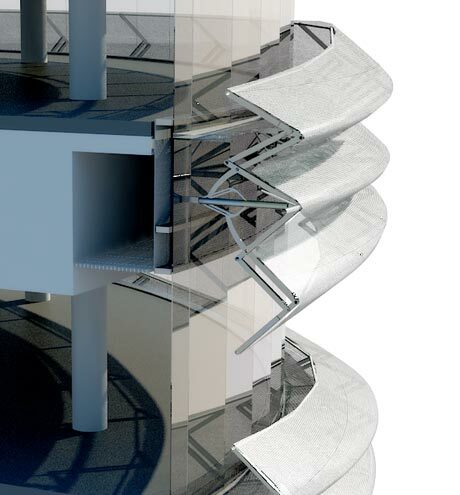 while the functionality within 3ds Max gives designers some very powerful tools for visualizing assemblies, specialty 3d mechanical design tools like Inventor and Solid Works could extend these capabilities even farther allowing designers to run simulations that identify points of stress or potential for material optimization. That was great! Did you find the initial kinematics info (bones and all) through basic max tutorials, or through another resource? Thanks Jonathan! The information came from a variety of sources. Combining multiple IK solvers to build the “scissor” mechanism was the result of many hours of trial and error. The help in max is great place to start with bones and IK. In the future, I’m planning to build the system in Inventor to see if it’s a better workflow. I suspect it will be since it’s specifically designed for these type of assemblies.